Global Rainbow is poetic, magical and powerful. A high specification laser light projection beaming in parallel horizontal lines creates a natural perspective horizon arc simulating a natural rainbow arc with a trajectory of up to 60 km. 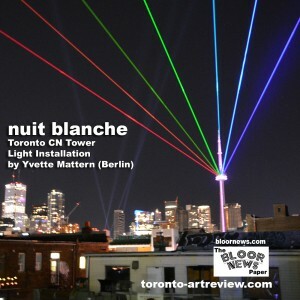 From Chinatown to one of Toronto’s most iconic buildings, the CN Tower, Global Rainbow blazes through Toronto’s night sky. 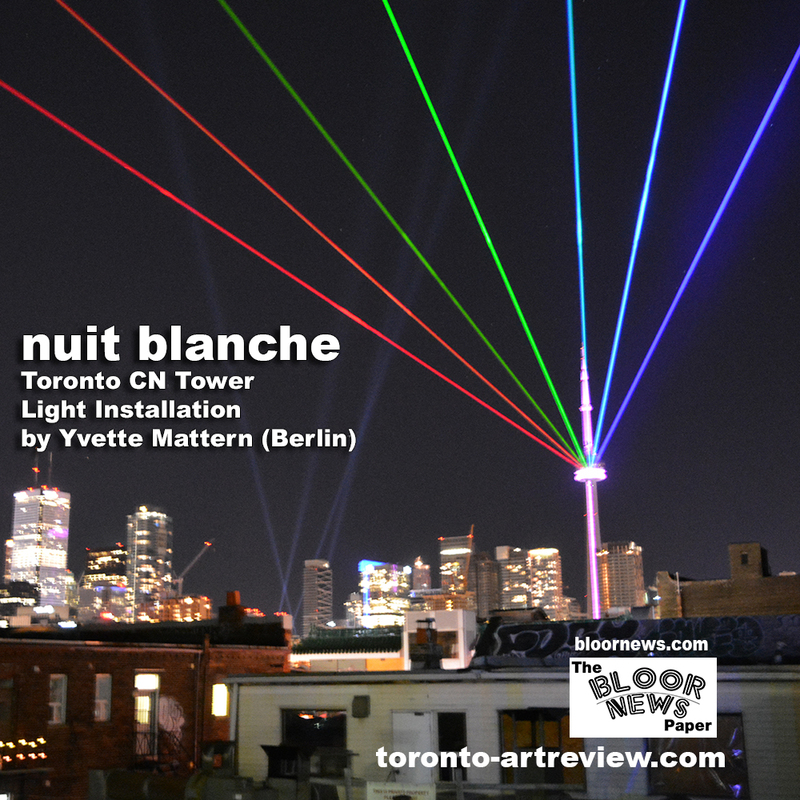 It encompasses the skyline and its viewing perspective is as ephemeral as viewing a natural rainbow. This monumental installation is visible from all exhibition areas. As a powerful and luminescent symbol of peace and hope, it embraces geographical and social diversity.